Educational and fun. 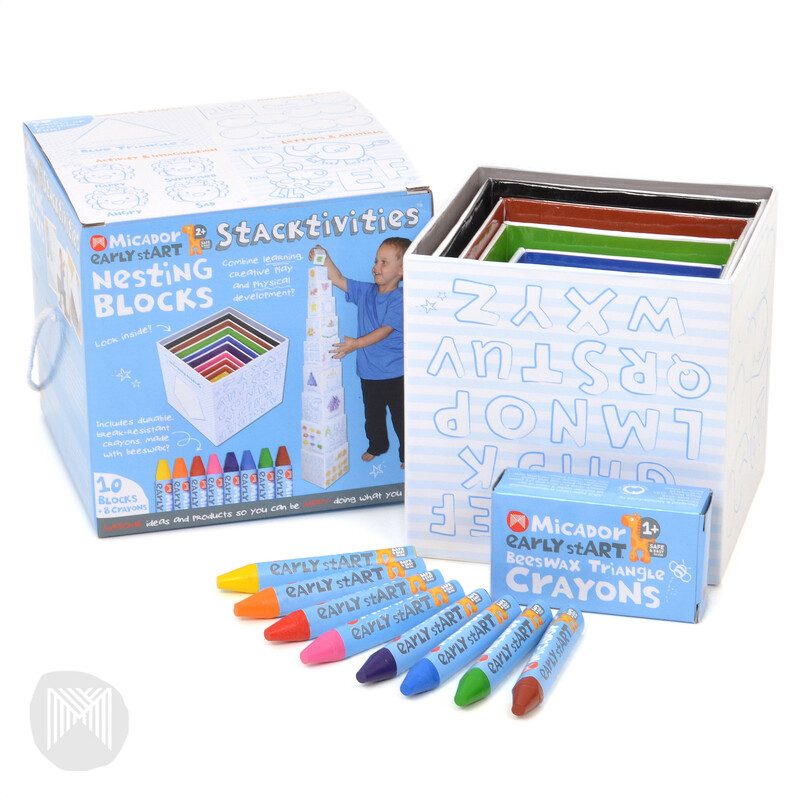 includes 26 letter crayons in 10 assorted colours. encourages phonetic sounds, spelling and creativity at the same time. Packaged in a durable carry case. 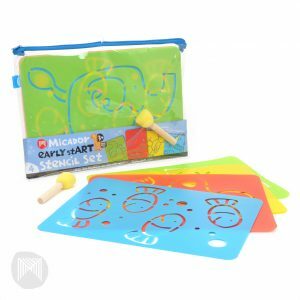 Soft Triangle Crayons are made from beeswax, which provides easy colour lay-down and ultimate safety for 2 to 4 year olds! 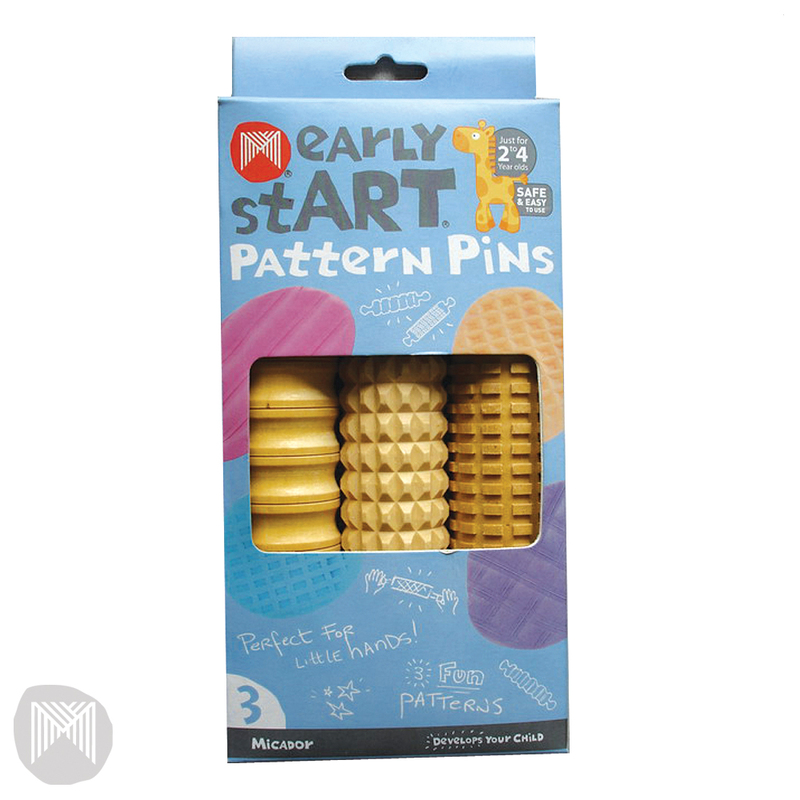 Triangle shape teaches youngsters the correct writing grip and aids in their development. 24 vibrant colours stay bright on paper. Presented in a sturdy, reusable dog-shaped case with a handle that early stARTers love to carry around. Specially designed for two to four year olds. 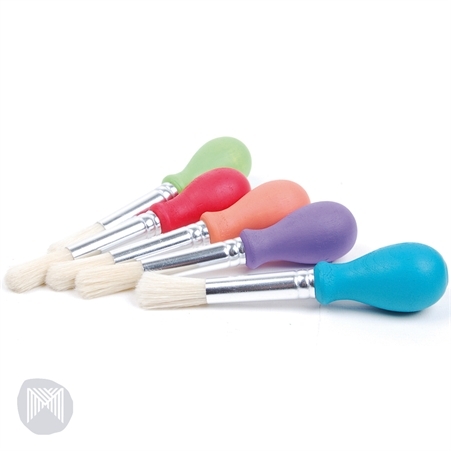 Brushes available in a variety of colours Orange Sherbet, Grape, Watermelon, Mint and Blue Heaven. Rounded, wooden handle shape provides an easy grip for little hands. 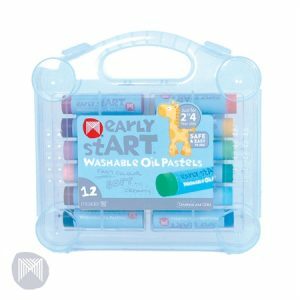 Chunky markers are ideal for 2-4 year olds as they provide an easy grip in little hands. 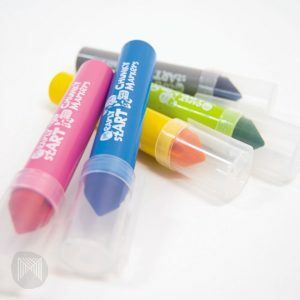 Markers have sink proof tips which are virtually indestructible and non-toxic, superwashable, water-based ink that washes out easily in cold water. Accurately die cut ventilated lids and no end caps for safety. Bright, vibrant colours. Large ink reservoir. Dry markers can be easily re-hydrated by dipping the tip in water. 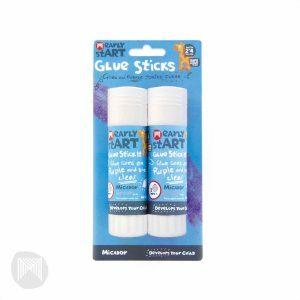 Two 40 gram glue sticks. Glue goes on purple and dries clear. Easy for little ones to see and use. Chunky barrel suits a child's full hand grip. 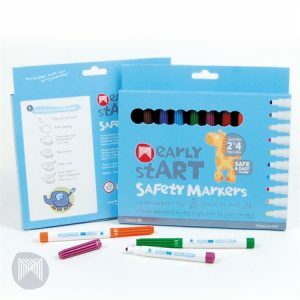 Safety markers for 2 to 4 year olds! Markers fit the full hand grip of young users- child safety nib allows kids to draw on any angle without marker tip pushing into the barrel. SuperWashable Plus, non-toxic ink - simple rinses off skin with water and washes out of fabrics easily in a normal 40 degree wash. Vibrant colours stay bright on paper, even when the ink dries. Secure end caps and ventilated safety lid. For 2 to 4 year olds! Large A3 size, thick paper is ideal for little artists learning to draw an paint. 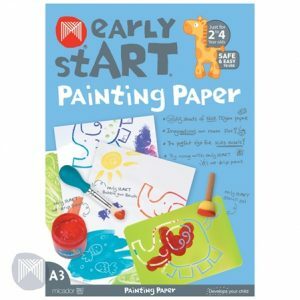 Paper is thick enough to hold paint and is ideal for finger painting. 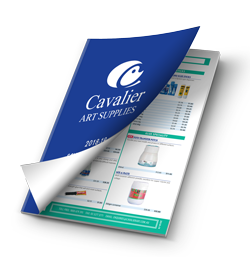 Great, A3 size for easles and big imaginations!110gsm acid free paper. Pad contains 25 easy-to-tear-out sheets. 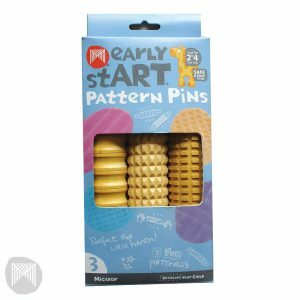 Pack of three assorted wooden pattern pins. Try using with early stART First Dough. 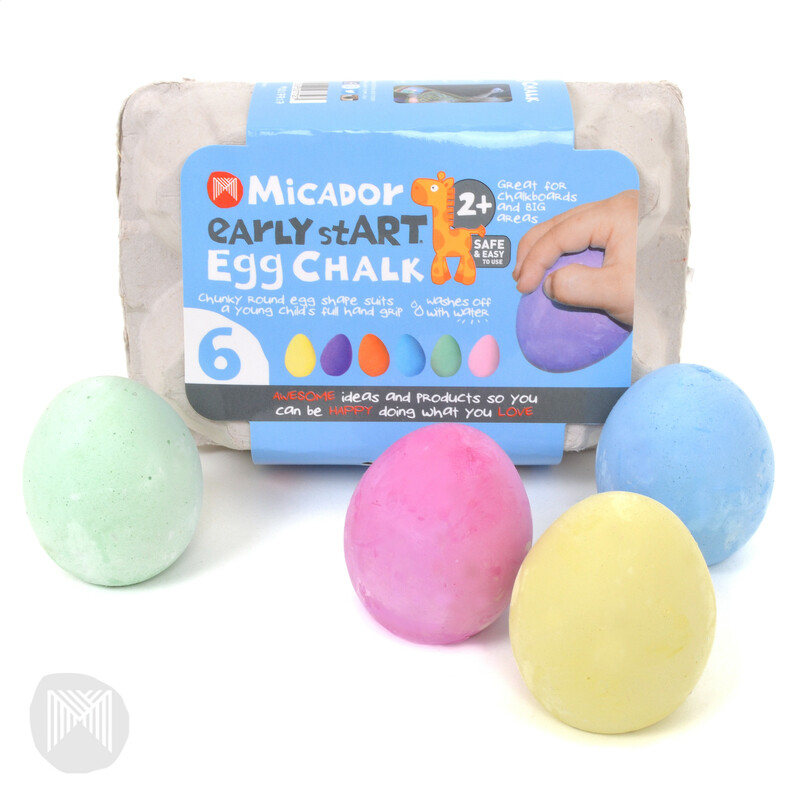 Easy for small hands to hold and use. Features 100 pages of 80gsm paper, giving early stARTers 200 sides to create on; anywhere, anytime! 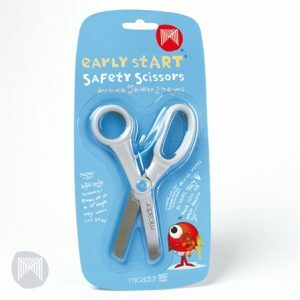 Perfect handbag size to accompany the early stART Triangle Pencil Purse Pack. 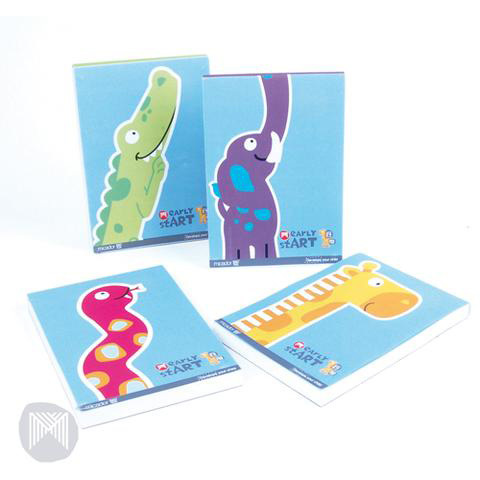 Available in four gorgeous animal designs crocodile, elephant, snake and giraffe. Designed to teach early stARTers to use scissors. Blades angles at 10 degrees for safety. Maximum opening angle at 80 degrees to keep blade on the inside. Wide closed end with smooth radius and rounded blades for safety. Made with high quality, heat treated steel. - Nesting Blocks combine creative play and physical development. 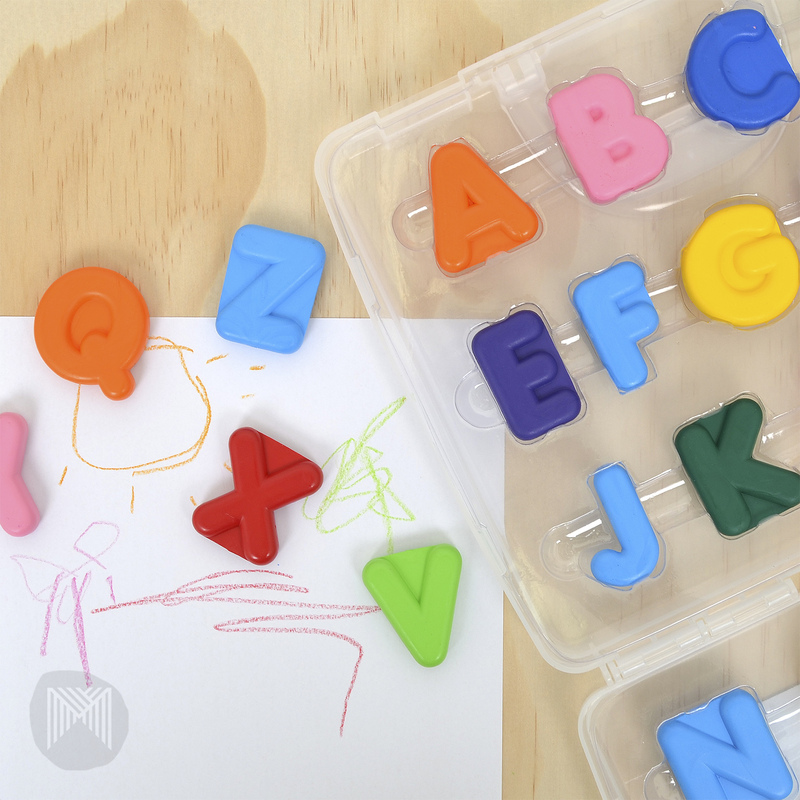 Activity panels focus on educational elements such as numbers, letters, colours and shapes. Includes: 10 stackable, nesting blocks and 8 early stART Beeswax Triangle Crayons. Jumbo sized stencils for jumbo sized imaginations! Pack of 4, A4, cute animal design stencils. 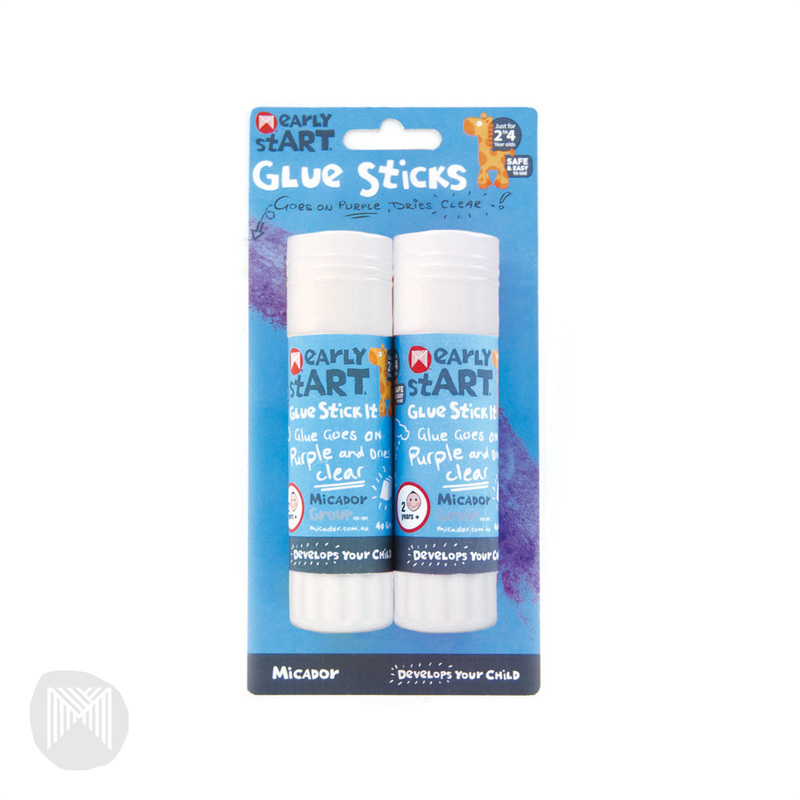 Ideal for children learning to draw and paint. Ideal for use with crayons, pencils, paint and markers. The flexible stencils can be cleaned easily. Stencils can be packed away in the reusable PP case. 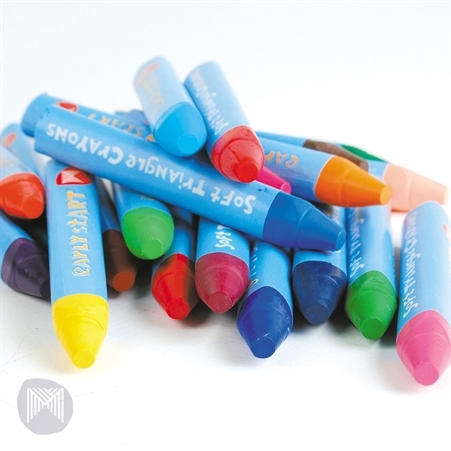 Triangle shaped colour pencils to encourage correct writing grip. 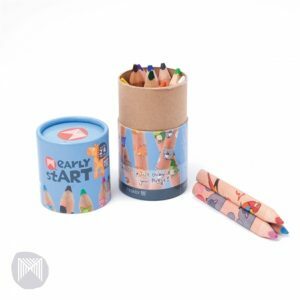 The pencils are non-toxic so they're safe for early stARTers. Handbag sized cylinder with firm lid to prevent pencils from falling out during transport. Handy size ensures they can be taken anywhere and used anytime! Bonus six sheets of paper included. Cute Australian animals printed on each pencil. Mega size oil pastels for the youngest of artists. 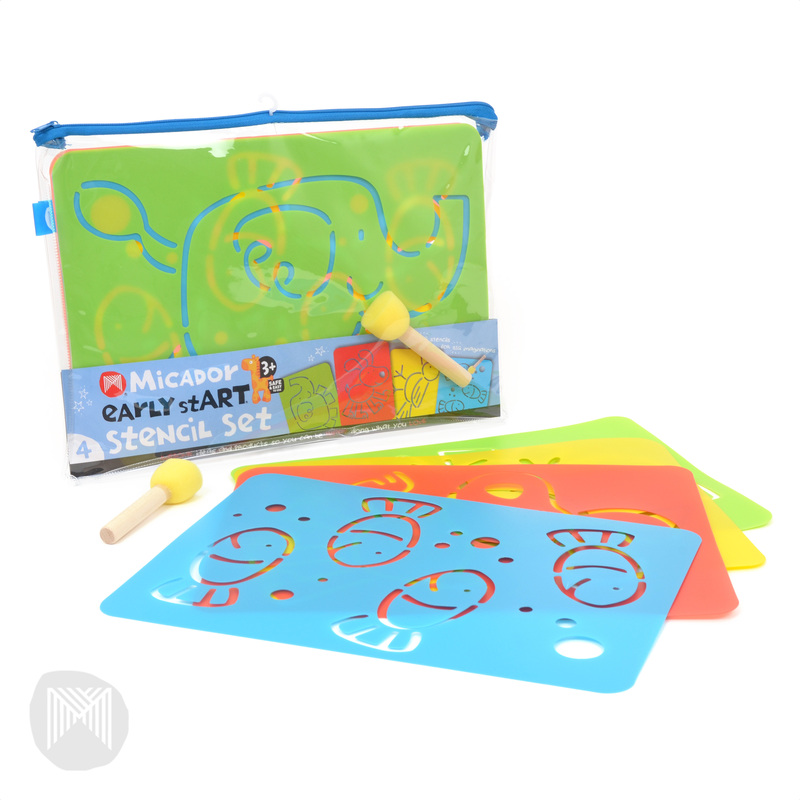 Non toxic – safe for children to use. Pastels are individually wrapped tp provide extra strength and protection and come in a sturdy, easy storage carry case.